These olives are infused with flavour; first marinated, then cooked. 1. 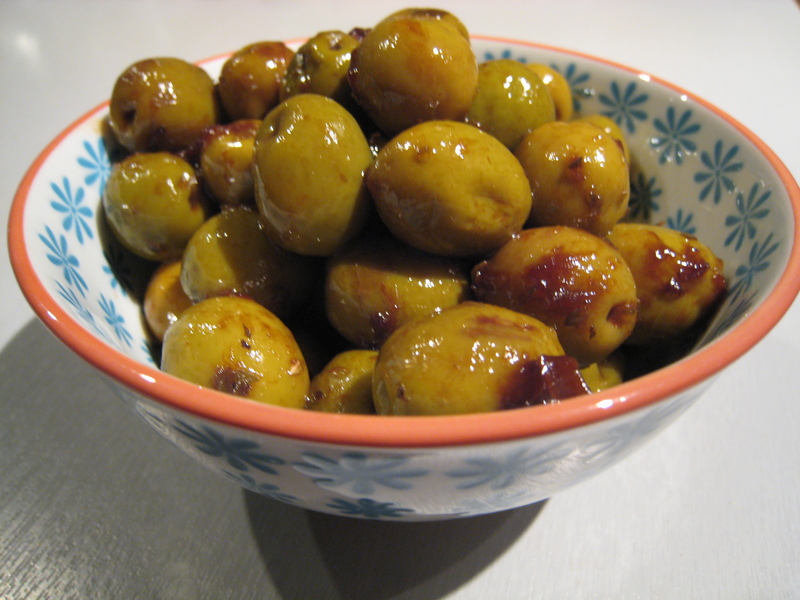 Place olives, prunes, olive oil, red wine vinegar, bay leaves, garlic, oregano and salt and pepper in a shallow bowl. Refrigerate over night. 2. Cook olives and marinade, along with wine, brown sugar and tarragon for 20-30 minutes. Add a little more wine if it is getting dry. 3. Cool and serve as a tasty appetizer. What a brilliant way to do olives! Can’t wait to try them.